It's just a fact of life that puppies are going to get the bulk of the attention at the shelter. You'll find this to be true in the classified with the constant turnover of younger dogs, while the older pups can be there for weeks or months at a time. Sure, puppies are cute and have a lot of energy, and they're just as worthy of being adopted as any other dog, but if you're a new owner are you ready? Ready for potty training, of course. That and going through the stage where they chew everything up if they're not given all of your attention. Yes, they sleep a lot, but that's once you've been playing with them all day. Of course, you might run through all these challenges pretty quickly if you're a trainer and/or have the time to work with your dog through these stages. Even folks who are long time dog owners might be able to get through these more quickly, but they'll find that it's still going to take a lot of energy. 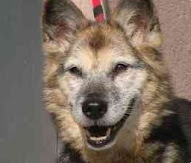 If you're a new owner or haven't had a dog in a while, consider senior dogs. The senior dog has probably been around people before and is an old pro at breaking in new owners. They've been potty trained, or maybe only need some reminders and encouragement in a new setting. They almost certainly know how to tell you that they need to go out, if you're listening. They've already paid the price for chewing up items that aren't their's and aren't likely to start again now, especially not after being welcome in a new home after being locked up in a shelter for who knows how long. 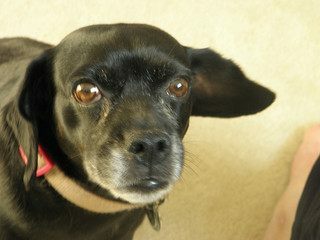 Check out the online ads or ask the shelter personnel about the older dogs and which already know their basic commands. You'll be surprised at how many know the basics like: sit, stay, and come. I've found that even the most timid senior dog has some hidden trick that they're just itching to use given the chance to regain their confidence. Older dogs bring a lot to the table for the new dog owner, letting both parties get to the important part of appreciating and loving one and it won't even cost anyone a new pair of shoes. A new owner considering an older dog or want to learn why else you might prefer them? Check out some other benefits.